No, your eyes are not deceiving you…those are indeed sea lions and not whales. Several years ago, we went on an Alaskan cruise…a retirement gift from our children. On one of the off-ship excursions, we went on a tour of George’s Inlet. The purpose of the trip was to view whales. But on the way out I got one of my favorite pictures of the whole trip. 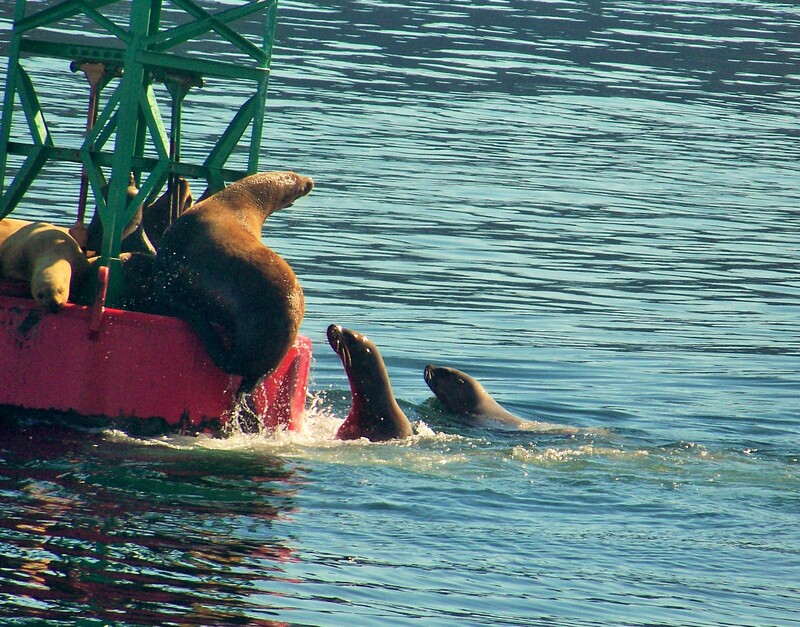 These sea lions were having so much fun playing together on this buoy. Since then. I have always told my grandchildren they reminded me of watching them playing together, having so much fun, on the few occasions we can get our grandchildren from five different states together in the same place…at the same time! 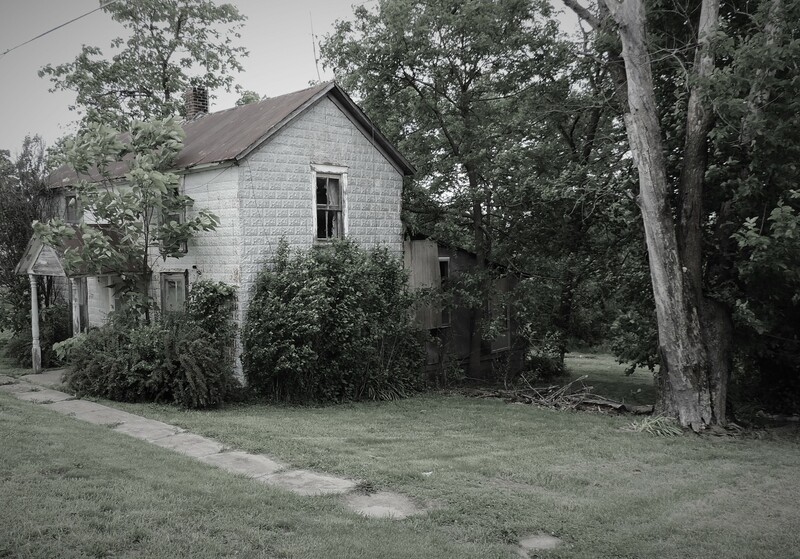 There is a small town near our town in central Missouri that, once upon a time, but not so long ago, was bustling and thriving. It was home to a pool table factory which made quality tables for a large recreational equipment company. Some forty years ago, the company ran into financial trouble caused by poor management and over extension. Eventually all its subsidiaries were sold off, and its factories around the county were shut down, taking jobs out of small towns whose only major employer was the factory. 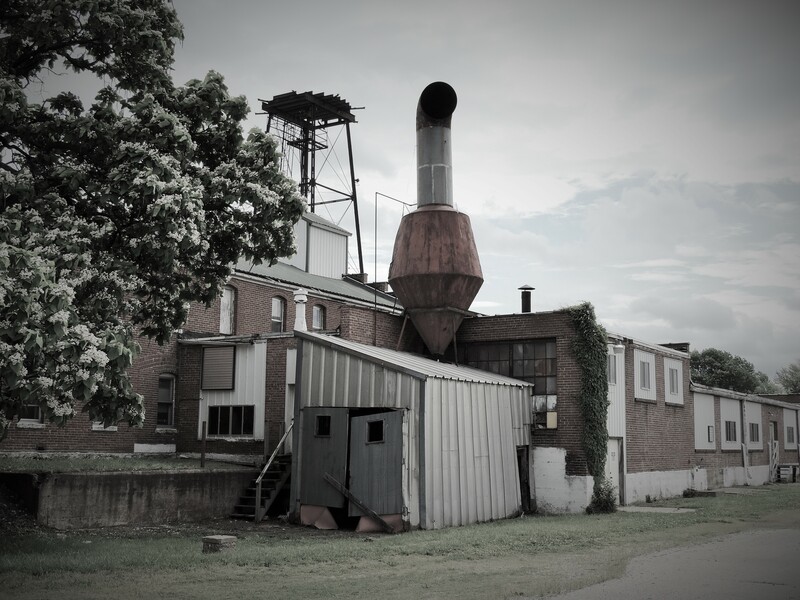 Not so long ago, this factory was the lifeblood of a small Missouri town. Its railroad line was busy. 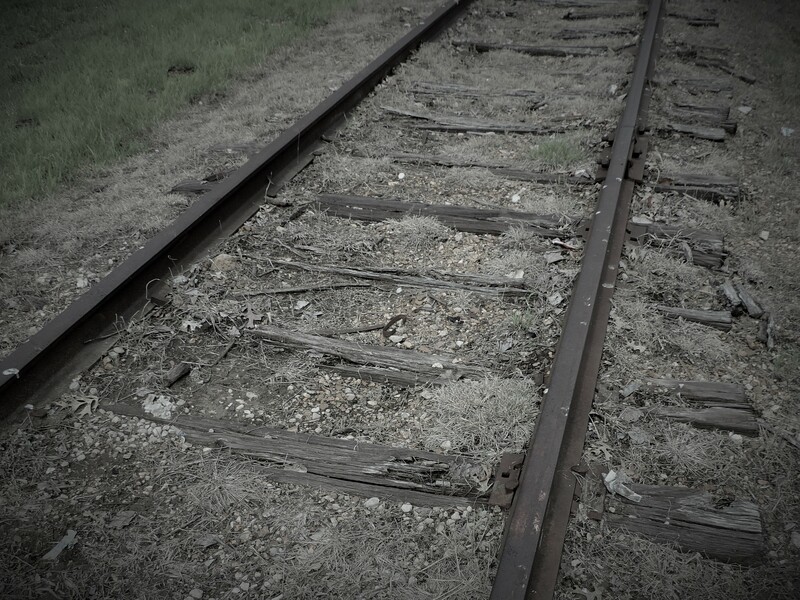 Now it is broken and has recently been acquired by a group who plans to turn it, and many more miles of track, into a rails to trails destination. I must say, I am looking forward to that! 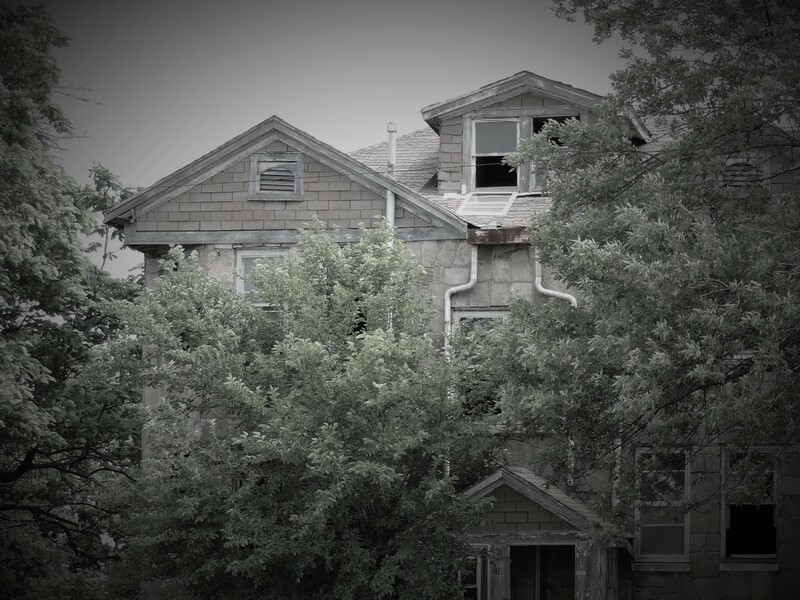 Many homes that were once the most impressive in town are now empty and run down. These broken places depict a city facing its past, living with shattered dreams, yet trying hard to create a future. I have always loved to draw, I have always loved to travel, and I have always loved to discover new things. One of my goals has always been to learn one new thing each and every day, whether I am traveling across the country, hiking through the woods, or just taking a walk in my own neighborhood. 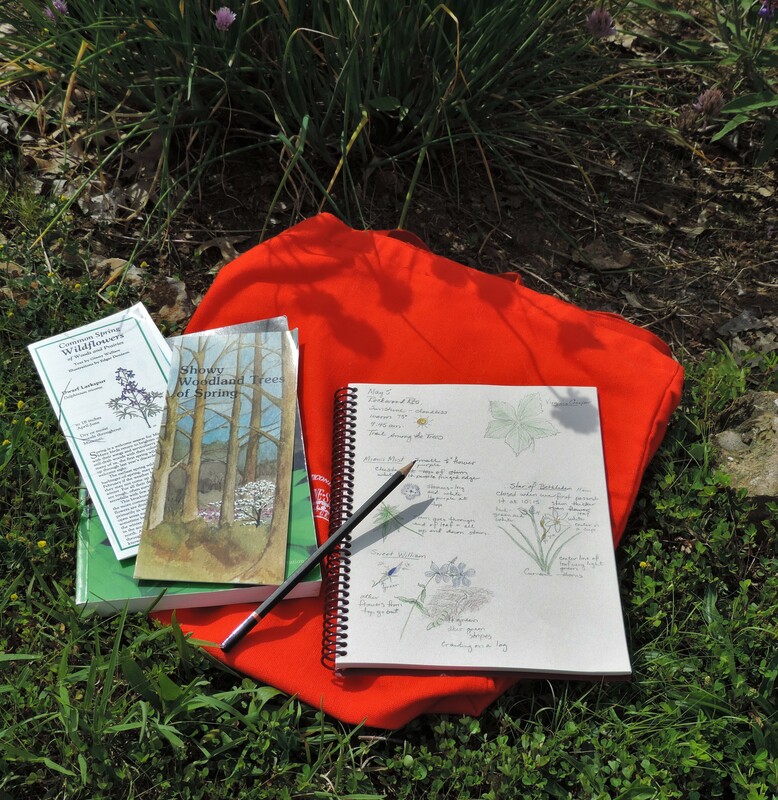 Nature journaling became a natural thing for me to do, a good way to record what I had learned. I spent a lot of time wondering how to get started. I read several books on the subject, looked at several examples of nature journals…and then I read a few more books on the subject. Eventually I realized it was time to just get started! A nature journal can be anything you want it to be. I finally figured out that my journal should show what I was interested in, in a format that I liked and that served my needs for recording my world. 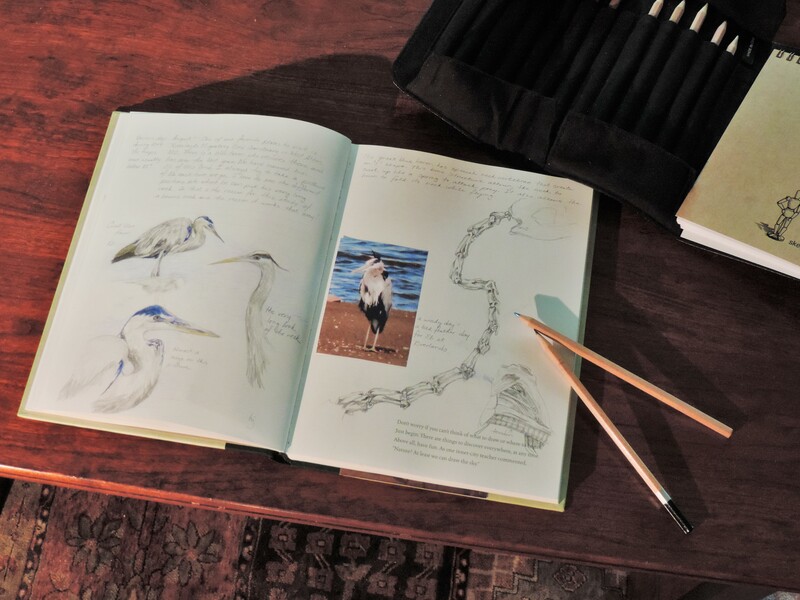 I now have several nature journals in which I draw and record what I see…one even serves as a drawing, photo, and study journal, and it is my favorite! This is the first book I started, and the one I use most often. It is a large spiral bound sketch book. I use it for my everyday type journaling…when I want to record something I see in our yard, or on a walk. Because I feel rather sheepish about sitting on the sidewalk, drawing something in someone else’s yard, I often take a picture of it and draw the object when I return home. As you can see in the photo, sometimes I draw the object I am most interested in, like the large nut, then simply color over the leaf of the tree from which the nut came, giving me its simple outline. I always make note of the time of day and of the weather. I noticed, when I was outside in the yard this morning, that our potato plants are blooming…those blossoms, seen in my featured image above, are destined to be my entry for today! My favorite journal is the one I call my drawing, photo and research journal. When we are out and about, I take many photos. Sometimes I want to know more about the object I have photographed, so I do some research. As in the case of the great blue heron pictured above, I went back to several other pictures of blue herons I had taken, chose one to mount as a photo, drawing several others to show the herons in different poses. The long neck intrigued me, and I wanted to know more about how it works. So, I studied some diagrams of the neck structure, read about how it works, and drew a skeletal image of the neck. Missouri is known as having one of the very best conservation departments in the country. in addition to doing a great job of conserving our “wild” spaces, they do a tremendous job in community outreach. Recently, I joined a nature journaling group sponsored by the Missouri Department of Conservation. We travel to various MCD sites, journaling different highlights that each has to offer. This month, we journaled and studied wildflowers, in June we will look carefully at butterflies. One of the best things for me, and a reason I joined this group, is that I don’t feel silly sitting and drawing…everybody with me is doing the same thing! I also enjoy the opportunity to share information and ideas with the other members of the group. One thing I have already learned by working with the group is to record, in writing, things I want to remember about the object I am drawing. 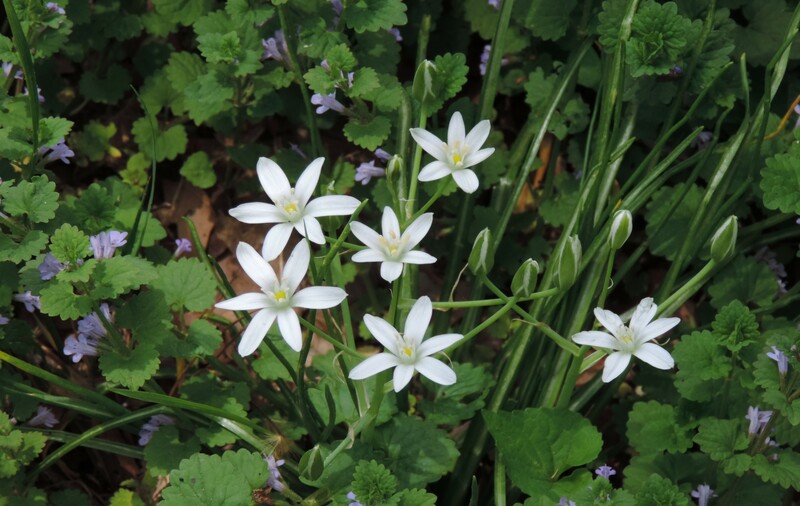 An example of this would be the Star of Bethlehem which was closed when first we passed it at 10 a.m., but was open and beautiful on our return trip later in the day. 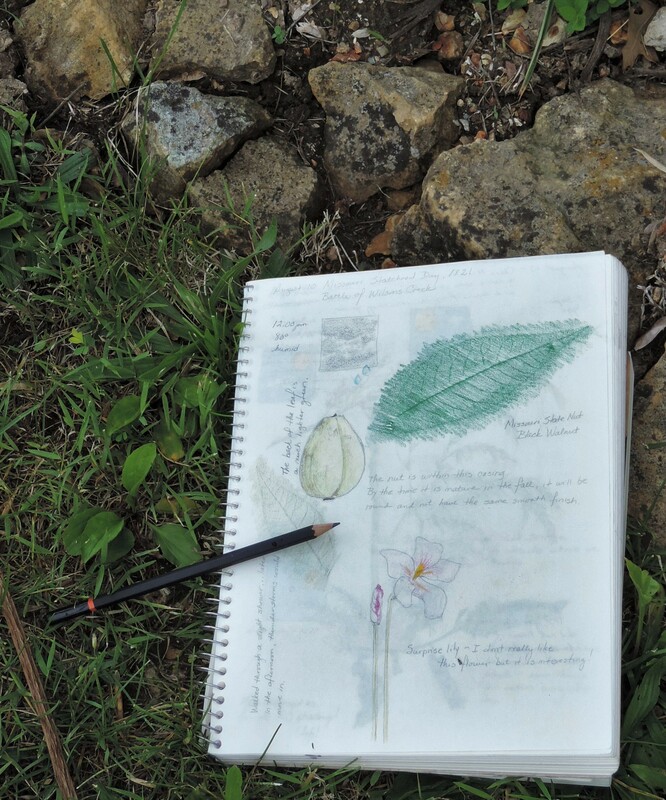 So, my advice to anyone interested in nature journaling is…just start. You are the only one who is going to critique your work…it is for you! If you feel like you need some basic guidelines in how to get started, a very good book on the subject is “Keeping a Nature Journal”, by Clare Walker Leslie and Charles E. Roth. It was published by Storey Books and is available from Amazon, or where I found it, at many national and state park visitor centers. Have fun journaling your world! 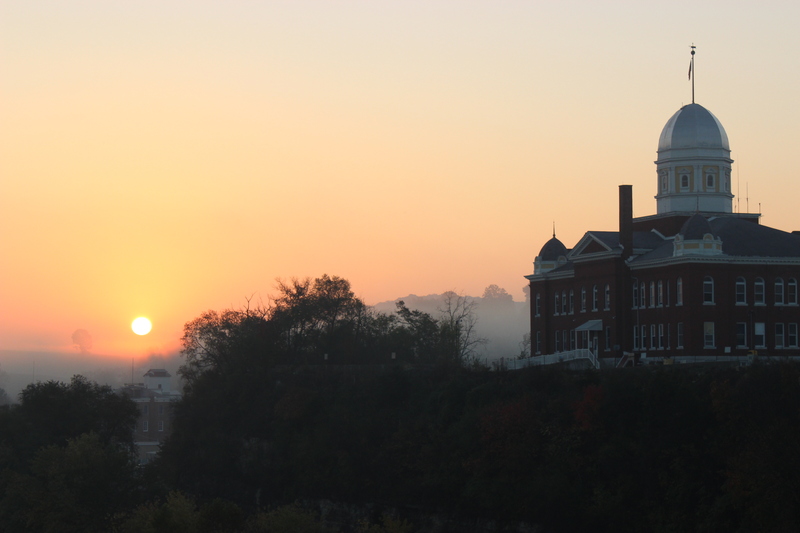 The fog on this crisp October morning enveloped the town of Hermann, MO…and then it began to lift as the sun rose and moved it away. Taking a walk through the neighborhood last week, I found many plants that had come back to life in this incredible spring we have been having in south central Missouri. I knew they would have…they are expected each spring, they are supposed to come back to life after the hard, cold winter. They return because the plant reseeded last season, or because someone planted them in a certain place. Sometimes nature is the planter, dropping seeds in various places, seeds that get buried in the snow and soil waiting to germinate and bloom when the weather warms. 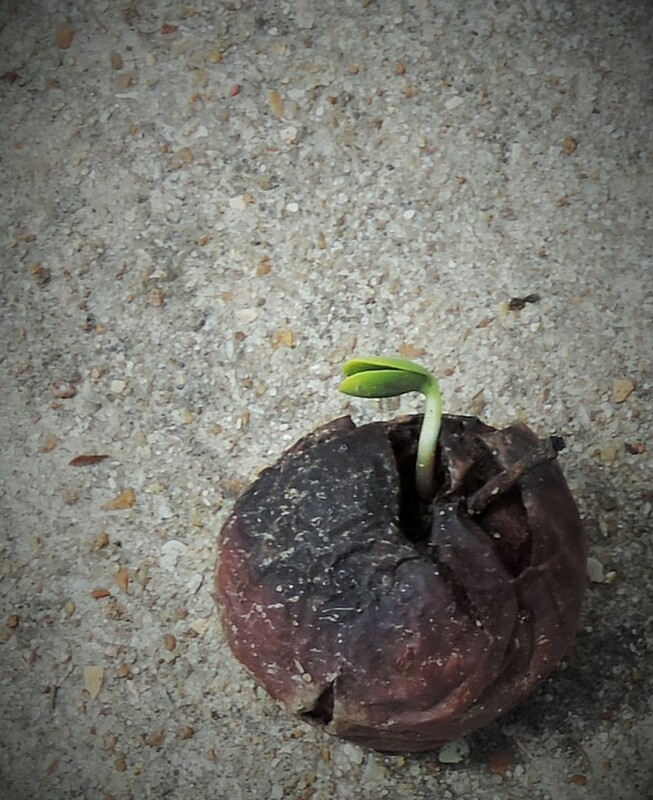 But this walnut I found lying on the sidewalk was not in the ground, had not established a firm place from which to sprout and grow. But nature, nevertheless, took over and this walnut put out a shoot. I moved it to the grass, pushing it into the ground. I hope the forces of nature continue to serve this small plant, and that it becomes rooted and established in its own special place…the forces of nature. In response to The Daily Post’s weekly photo challenge: “Intricate. Today is May Day, and on my walk today I picked a bouquet for myself. 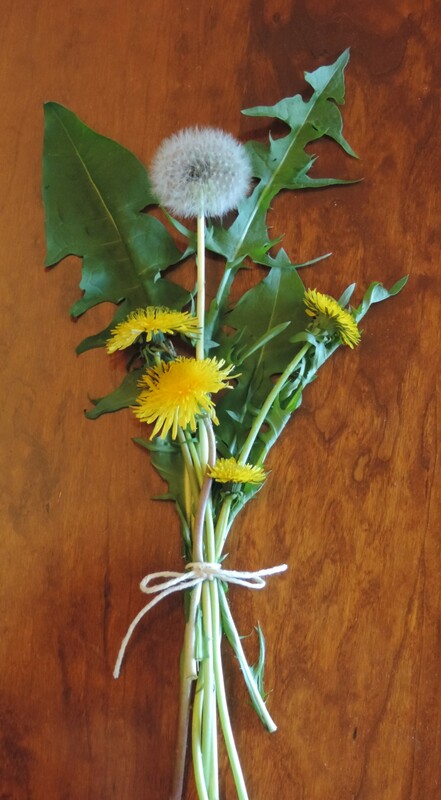 I made a small bouquet of the simple, yet very intricate dandelion. When I was a little girl of five, I would eagerly collect a big bouquet of these bright yellow flowers to present to my mom on Mother’s Day. She would love them, put them in some water, and save them for as long as she could. When I was eight, I would take the brightest dandelion, hold it under the chin of my best friend, and determine by its reflection that she loved butter. 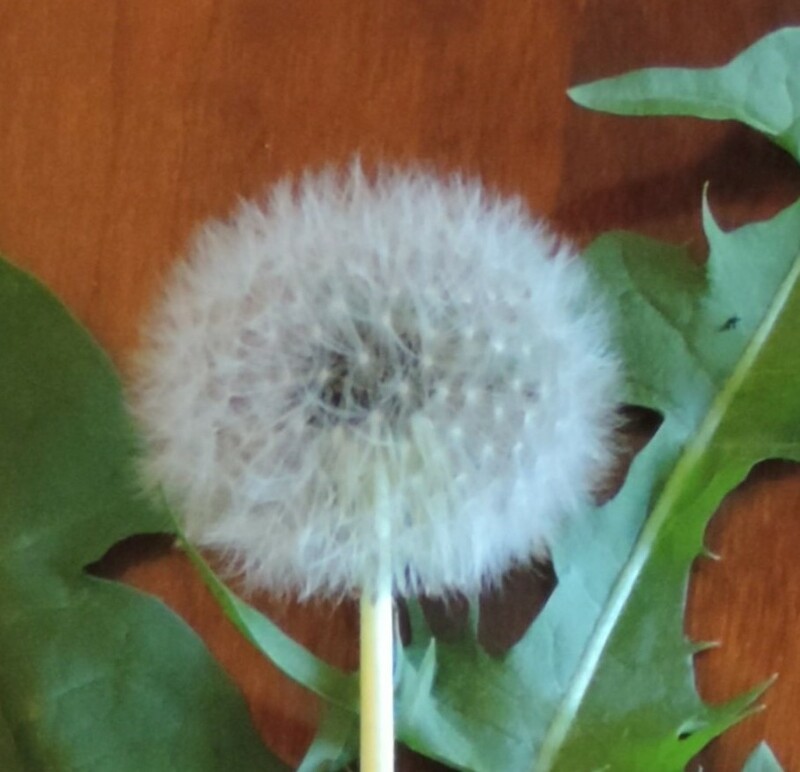 When I was thirteen, I would blow the seeds off the stem of the dandelion, making wishes as they floated away. But now I am much older, and I am looking at the dandelion for all that it is…an intricate flower, a blessing of creation. If the dandelion were not so plentiful, if we had to buy them to plant in our gardens, if they were featured at botanical gardens as very special wildflowers, we would appreciate this beautiful flower much more. Take a look at the flower itself…hundreds of thin, intricate, yellow petals explode from a stem top looking for all the world like an exploding firework. Look at the seed head, a perfect sphere of intricately arranged seeds. 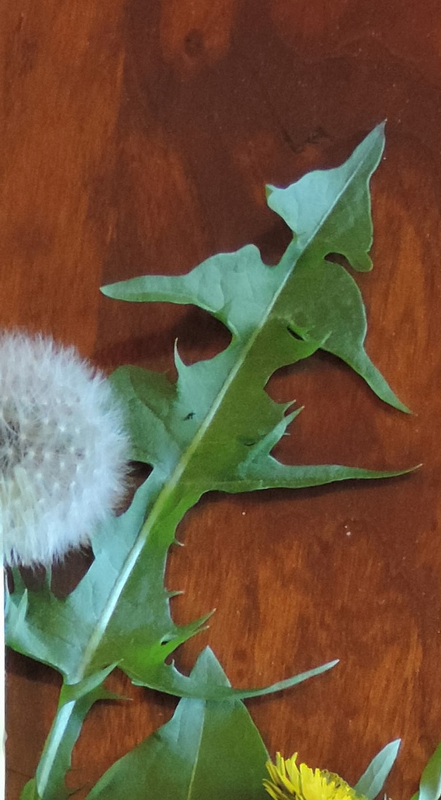 And my discovery today…take a good look at the dandelion leaf! 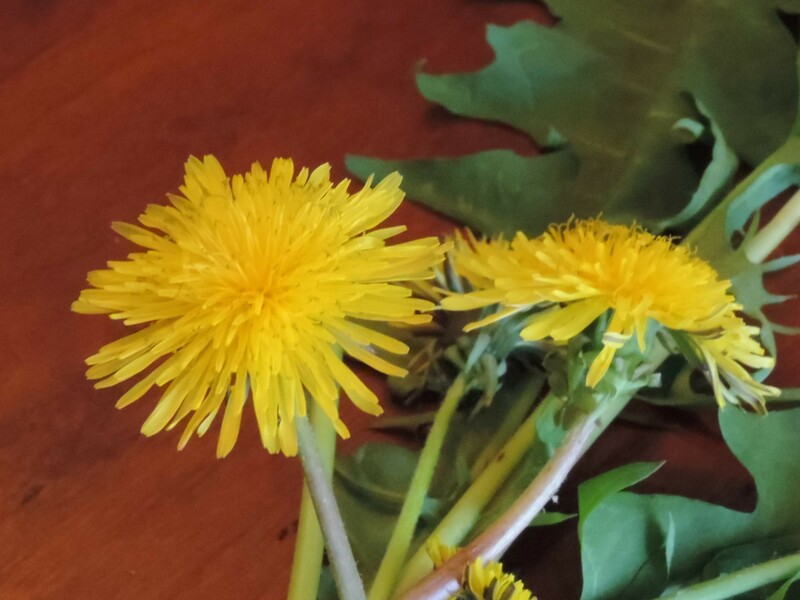 On May 1, as we are all so pleased with the return of warm weather, of spring flowers, and of garden vegetables that are beginning to appear at the farmer’s market, the shape of that dandelion leaf reminds us to delight in this spring season, because it will not last. That beautiful dandelion leaf looks a lot like an evergreen tree. It reminds us that seasons keep changing, and come six months from now, the only green we will see here in Missouri will be the green of the evergreen tree.